Mix together the ingredients for the sauce EXCEPT for the arrowroot. Season to taste with sriracha, soy and orange juice. Set aside along with arrowroot. Set a large nonstick skillet on high heat. 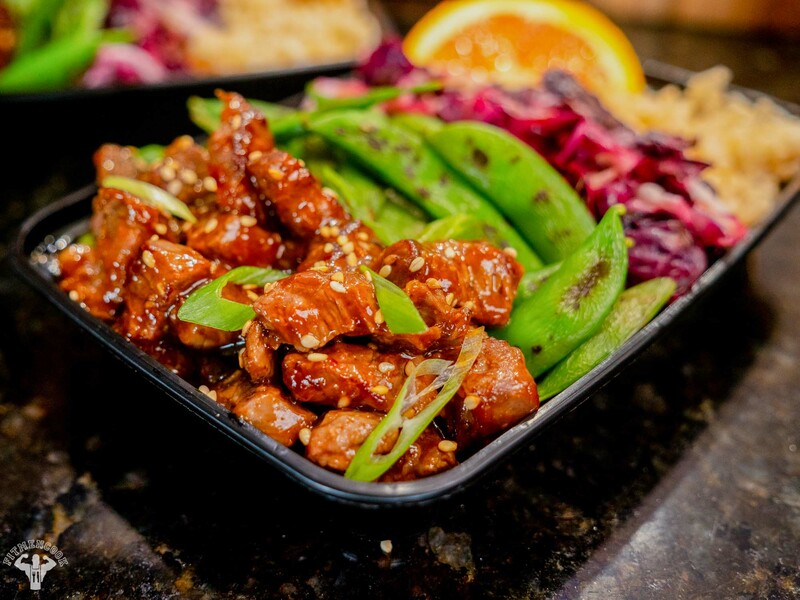 Once the pan is hot, add sugar snap peas. Continuously stir the peas so they don’t burn, but you will char the outside, about 3 minutes. Empty the peas from the skillet, then place the skillet back on the heat. Lightly spray with olive oil then add the chopped radicchio. While it cooks, squeeze in a little lemon juice. Continue to stir util the radicchio wilts, then remove from the skillet. Place the skillet back on the heat and add the chopped beef. Sear the outside of the beef until you reach your desired readiness, about 4 to 8 minutes. Once you’ve reached your desired readiness of beef, reduce the heat of the skillet, and make a hole in the skillet. Add the arrowroot to the sauce, mix well, then pour it into the skillet. 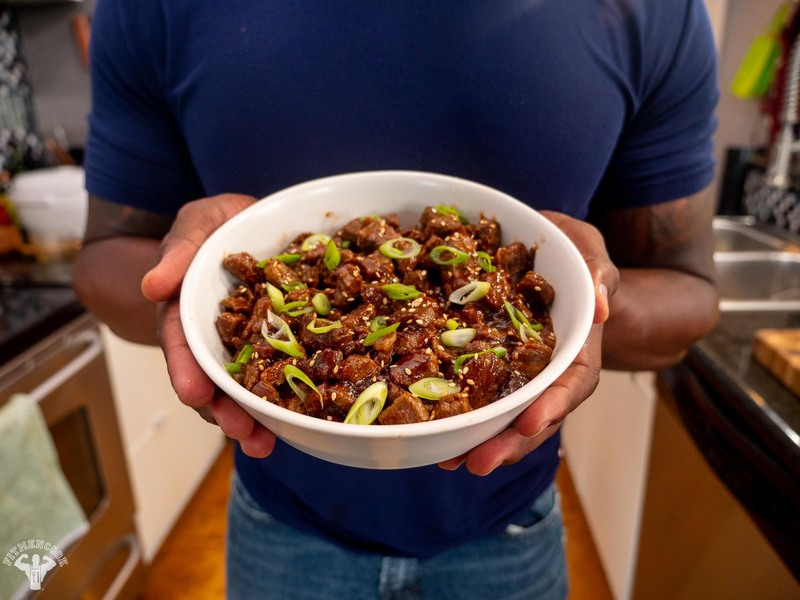 As soon as the sauce begins to bubble and thicken, remove the skillet from the heat and immediately and continuously fold the beef in the sauce. 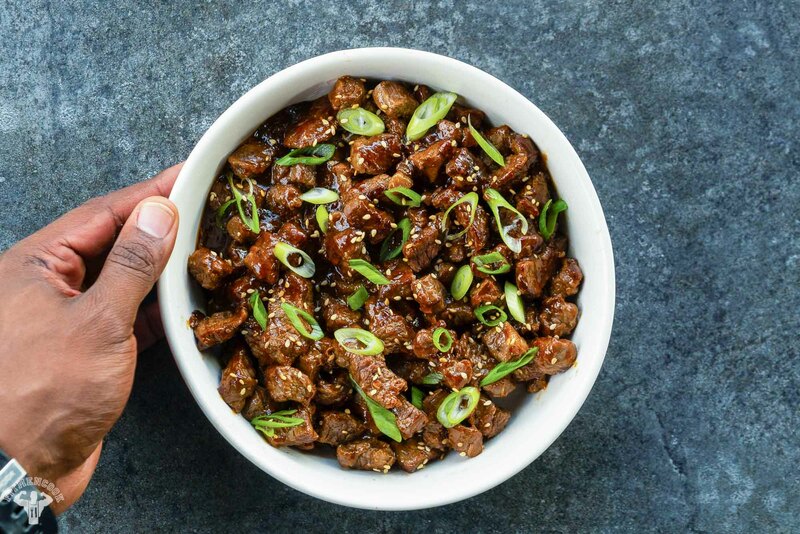 Remove the beef from the skillet and then garnish with sesame seeds and green onion. 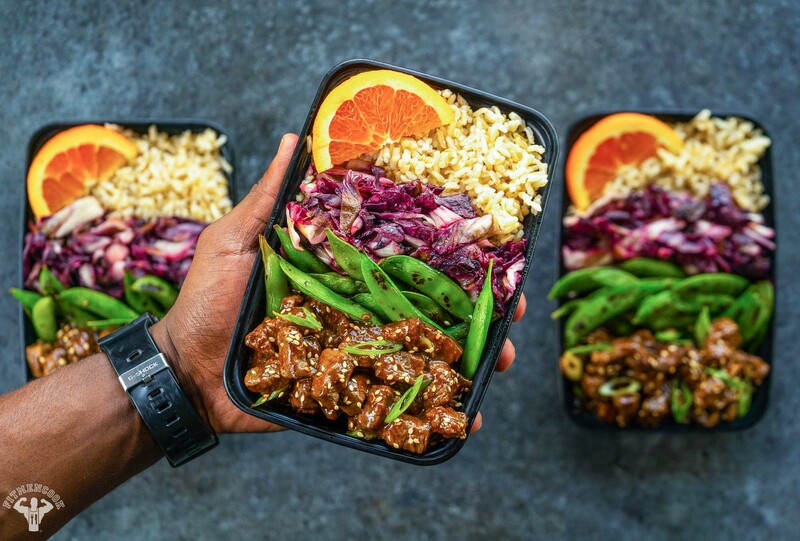 Assemble the meals – evenly divide the meat among 4 containers (or your number of servings), then add brown rice (or cauliflower rice), radicchio and sugar snap peas.